Always a thrill to find a new Frankenstein illustration by the great Mike Mignola. Here, under a dark crescent moon, a sawtooth Dracula and a flayed Monster pose amidst a rifled cemetery, a bat-haunted castle and a gearwork laboratory. 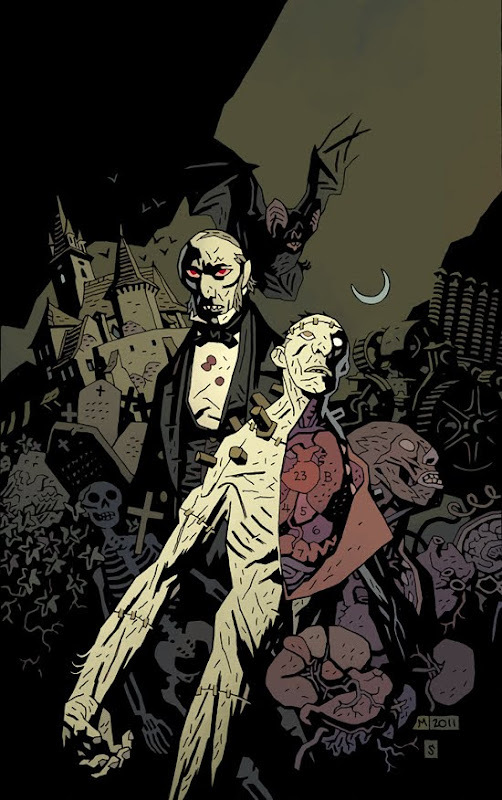 This image was produced for this year’s World Horror Convention, in Salt Lake City, March 29 to April 1, where Mignola is Artist Guest of Honor. A high quality poster print will be available, strictly limited to 100 copies and going for $100.